Yes, Peppermint Patty SOAP, not the yummy goodies you can eat. But these smell just like them. When I got done, my son came in and said, “Yea!” I told him it was soap and he looked so disappointed, ha ha. I guess I’ll have to make him some peppermint patties. I have a great recipe that I’ll have to post soon. Here’s the peppermint patty soap recipe. For more detailed instructions on how to make soap see Soap Making 101. Measure and put your lard, coconut oil, and olive oil into your pot. 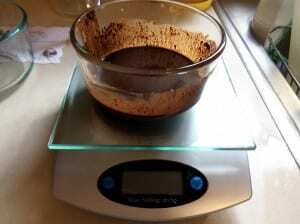 Measure the cocoa powder and olive oil and combine in a small bowl. 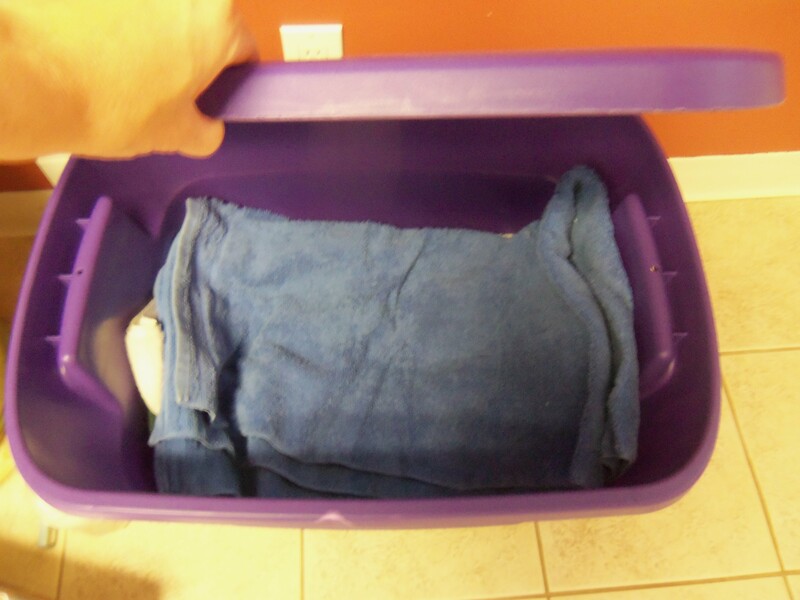 Measure the lye in the zip top bag and the water into a small container. 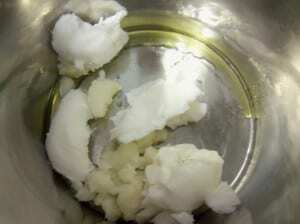 Melt fat and oils in the pot. Turn off and remove from heat. Carefully, in a well ventilated place, mix lye into water (not water into lye). 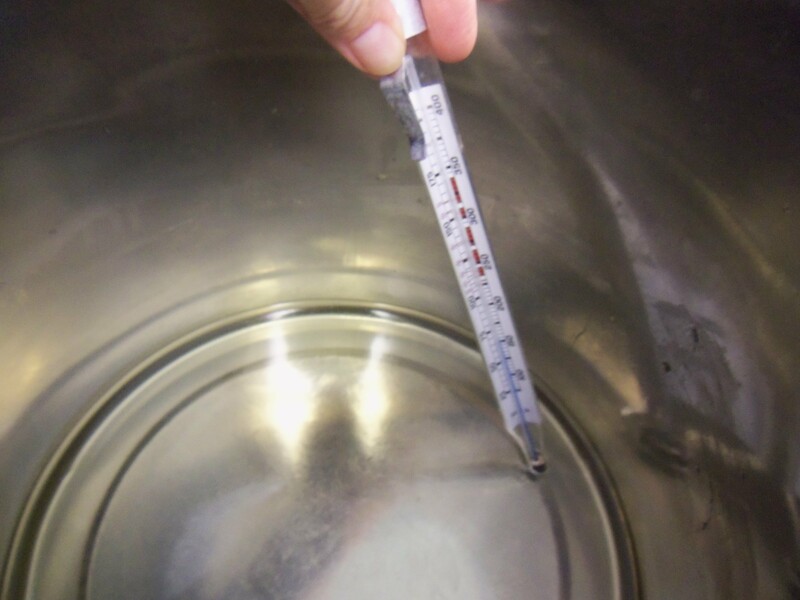 Measure the temperature of the lye water and fat/oils. You want both at 100 degrees F. Use a water bath as necessary. When both lye and fats are at 100 degrees F, pour the lye into the fats and mix with a whisk or blender on and off (every 5 minutes if using a blender, every 15 minutes if using a whisk). Using a blender will make the saponification process happen a bit faster which can be good if you are making soap during the winter and your temperatures are falling faster than they would otherwise. When soap reaches trace (mine only took about 5 minutes with the blender so watch carefully), pour ¾ of the batch into your mold. 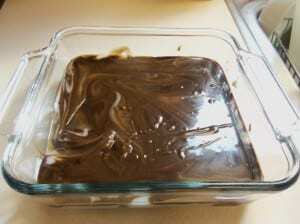 Mix the cocoa and olive oil mixture into the remaining soap and then drizzle over soap already in the mold. Carefully lay a sheet of wax paper over the top of the soap so that it doesn't develop ash (a white powder on the surface that is usually shaved off later). Wrap in towels and let it set for 48 hours. This is a softer soap at first so it needs the 48 hours instead of the 24. Allow to cure for 3-6 weeks to harden. When both lye and fats are at 100 degrees F, pour the lye into the fats and mix with a whisk or blender on and off (every 5 minutes if using a blender, every 15 minutes if using a whisk). Using a blender will make the saponification process happen a bit faster which can be good if you are making soap during the winter and your temperatures are falling faster than they would otherwise. When soap reaches trace (mine only took about 5 minutes with the blender so watch carefully), pour 3/4 of the batch into your mold. 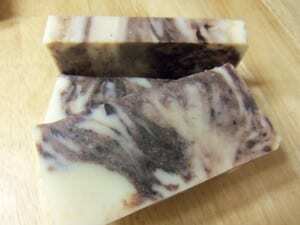 Mix the cocoa and olive oil mixture into the remaining soap and then drizzle over soap already in the mold. Carefully lay a sheet of wax paper over the top of the soap so that it doesn’t develop ash (a white powder on the surface that is usually shaved off later). I cut this into 6, 4oz bars. Now I have to wait for them to cure. In the mean time, I will leave it in my kitchen so I can keep smelling it. Here’s the final product. You can buy some at my Etsy store. It’s beautiful! 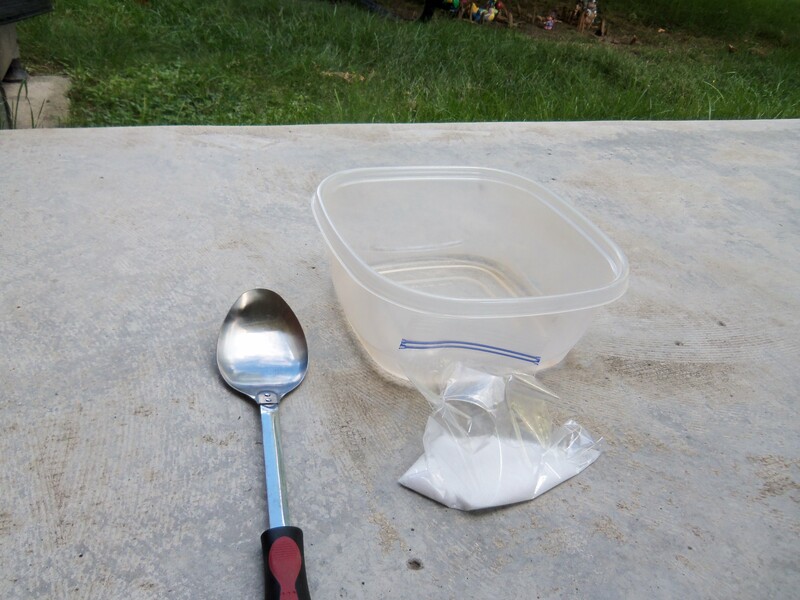 I have a batch I’m mixing right now… any minute now I can pour into my mold 😀 I can’t wait!! I am loving your directions and recipes! Last week I made a batch of shampoo bars (with coconut milk) and the shaving soap. Those were my first try (ever) making soaps and everything went perfectly thanks to your detailed direction, thank you! 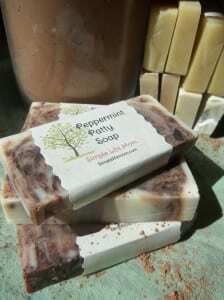 Tonight is the oatmeal honey soap! 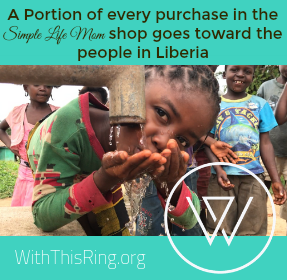 Now for the patience honing… the long wait to use everything! Can you sub goats milk in this? If so what changes would need to be made? How much does this make? I just found your website tonight with a fb link from Joybilee Farm. You can substitute goats milk. You need to substitute it for the water (or part of the water). Make sure you add the lye to it over a period of at least 15 minutes (super crazy slow) otherwise the milk can look like it’s curdled and turn green. This recipe makes a small batch of 4-6 bars. 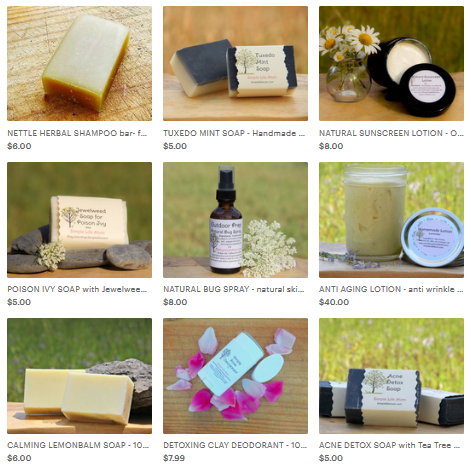 For larger recipes, check out my Homemade Soap page. You can always add the cocoa to one of those recipes, substituting some cocoa butter in for some of the coconut oil to give it more of a cocoa scent. Mine is awaiting the 48 hour unveil now :)…thanks sooo much!! My kiddos were in the OTHER room while I made this and all of a sudden I hear…I smell mint! I smell mint! They are excited to use it too! I think the directions might have missed indicating when to add the Peppermint EO. It is right after reaching light trace and you hand mix it in, correct? I hope so, because that is what I did! Seemed to work well.